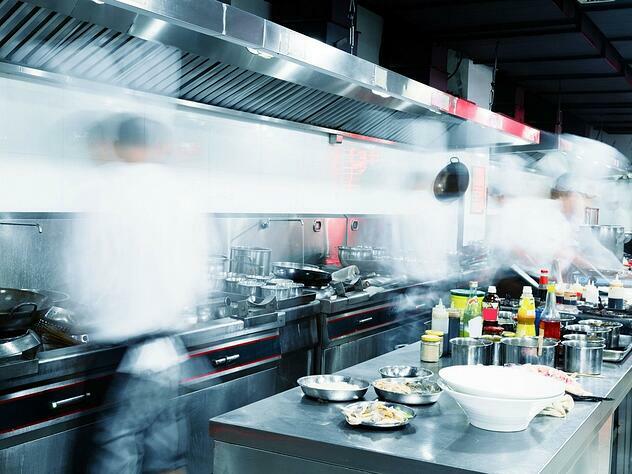 In fast food restaurant operations, speed is everything. Customers make nearly instantaneous decisions — a long line at the drive-thru or walk-up window can mean the difference between a hungry customer pulling in or driving on to a competitor. Menu items can’t take a lot of assembly time. Cook-to-order times can’t be very long. Asking customers to pull ahead and wait for their order to be brought out to them doesn’t work well — running orders slows down drive-thru times, and longer waits discourage repeat business. At the same time, modern consumers want fresh food prepared with premium ingredients. They want to be able to customize their orders. And they want their food at an affordable price. So how can your QSR company stay ahead? How can it meet so many seemingly contradictory consumer demands? How can it be all things to all customers? Let’s look at 2 strategies your restaurant could employ to speed up service, while meeting diners’ demands for fresh and inexpensive fare. Use tech to streamline as many processes as possible. The QSR industry is seeing major advances in restaurant automation. New technologies promise to free staffers up to focus more on providing personalized service and undertaking proactive, speed-augmenting tasks (like restocking, cleaning or cooking). They could also help business owners reduce labor costs, as pressure to raise wages continues to mount. When customers can order right from their phones, you need fewer order-takers. There are fewer errors. The sale process can skip ahead to assembly, delivery and payment. Mobile ordering has already been a tremendous boon to several large fast food chains, including Taco Bell. When the Yum! brand launched its mobile ordering app, 3 out of 4 Taco Bell units reportedly processed at least one mobile order within the first day. The app has boosted revenues, too —orders taken through Taco Bell’s app have been an average of 20 percent larger than orders taken at point of sale. Earlier this decade, Coca-Cola introduced its next-generation vending concept, the Freestyle, which allows customers to choose between dozens of soda options. Many fast food restaurants, including Burger King and Five Guys, jumped onboard. Why? Several reasons. For one, they delight customers. They offer previously unimaginable customization in soda Second, they’re futuristic, so there’s a tech “wow” factor for beverage purchasers. But, perhaps most importantly, they’re self-serve and compact. Instead of a lot of space wasted on a row of soda dispensers, all the sodas are available from one nozzle, and the entire machine takes up no more space than a large can vending unit. And Freestyle isn’t the only drink-serving robot out there. An Italian company recently fielded bartending robots on Royal Caribbean cruise ships. Welcome to the future. Unbelievable, you say? They’re already in the market. Drone systems can use mapping software to learn the layout of your restaurant. They can fly in the airspace above human height, below the ceiling. They employ collision avoidance software. And they can’t be klutzy on an off day — they’re designed and programmed to be steady hands for tableside delivery. 2. Design your menu around versatile ingredients and efficient cooking methods. The more dishes you can build around a single ingredient, the fewer ingredients you need to prepare, right? By employing ingredients that have multiple applications, you can cut down prep and serve times. Let’s look at an example — steak. Good ol’ USDA Prime beef. Steak can be an integral ingredient for any daypart. It can be used in breakfast burritos. It can be put on sandwiches for lunch. It can be sliced and used to top salads. It can be grilled, battered and fried or broiled and served as an entree unto itself. Best of all, it can be prepared well in advance. Sous vide protein options offer fast food companies the ability to utilize tender, slow-cooked steak — or other proteins like chicken, fish or pork — that can be safely stored until they’re needed. Because they’re fully pre-cooked under vacuum seal and essentially ready to eat, sous vide meats and veggies need only a quick finish — searing, flame-grilling, flash-frying or what-have-you — to bring them to serve temperature. And they can be custom seasoned just prior to use, giving you flexibility on the menu. That cuts down on your grill time, cuts out the microwave and dreaded heat lamp, increases the efficiency of restaurant operations, and keeps your customers coming back for great-tasting, fresh, fast food.